So lets get this out of the way now, every TV show and film I have on my hard-drive are legitimately sourced and are on the most part just digital rips of my hefty DVD collection. I need to point this out now so that I can talk more openly about my favourite gadget I own, The boxee. 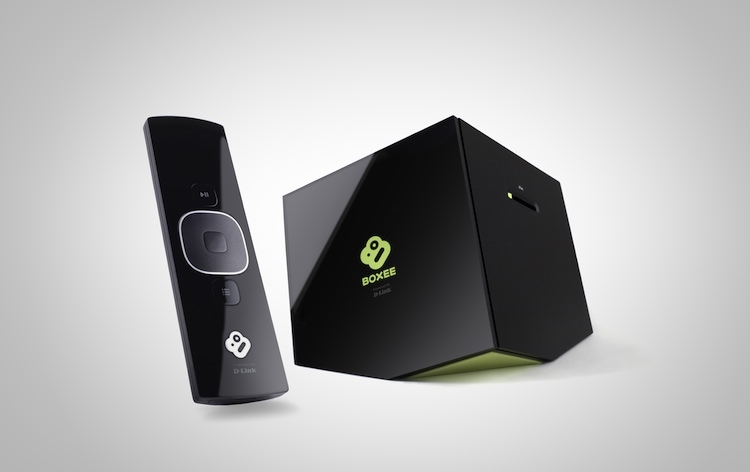 The boxee is a media centre. The weird melted cube that sits next to the TV allows you, the viewer, to plug in hard-drives (many if you find a USB hub that works with it) and the boxee will play the media files on the drives. The thing is that it will recognise nearly every codec and media file type going in the world today, and with a relatively frequent update for the OS and the Boxee itself it means that rarely will you find something that will trip it up. 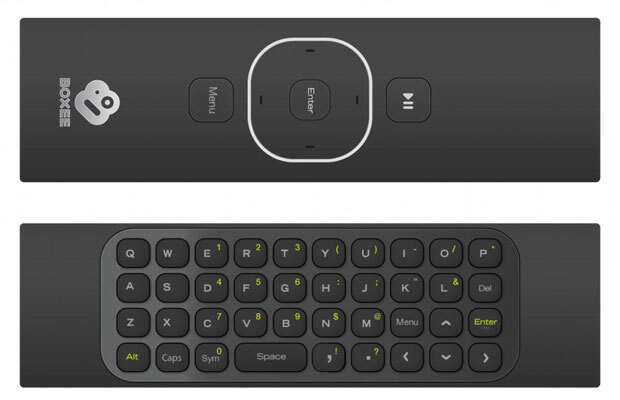 The boxee’s interesting design is not just limited to the box itself, the remote control is a work of genius. On one side you are greeted with a very minimalist design of a D-Pad, play/pause button and menu button. However, when you flip the remote over there is a full Qwerty keyboard that is especially helpful in “identifying” media files on the machine. To explain why Identifying files is useful is to explain why this device is so special. For a while now users have been able to use Xbox’s/Ps3’s and other devices to play their media files, but this is where the boxee takes a step forward from the normal to the special, this box compares your files names against Imdb and lists all of your lovely little films and tv shows in a grid, and within this grid is the amazing artwork that some poor sap in a graphics department in a studio somewhere spent time toiling over. The great display of the films and tv shows with artwork aside, when you enter a file you are also presented with the Imdb score, the Rotten Tomatoes score, a trailer and finally a blurb with a plot summary and cast and director listing. All of this together provides more than enough information to aid in your decision on a Friday night of what to settle into with your other half. Aesthetics aside, the boxee has much competition from the likes of Apple TV and numerous other things including a straight server build running XBMC. What you’re paying for here is a simple process, and the process is simple. Identifying films and TV shows is just a case of either a) labelling your files properly or b) using a search box. When you first plug in and use it will be a couple of hours of searching for obscure films before you really feel like you’ve gotten somewhere, but once you have, the quality of this software and hardware is clear. 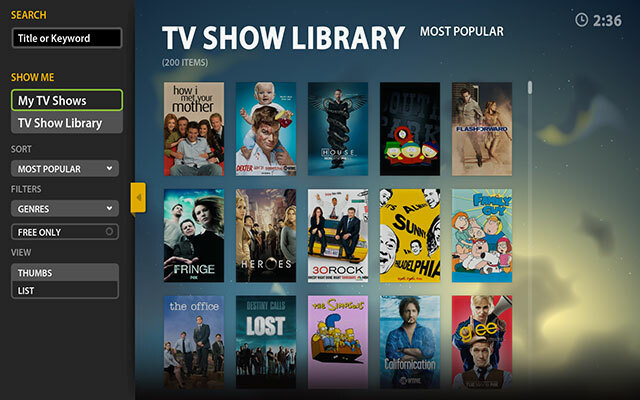 I won’t pretend the Boxee is perfect, most of its flaws are centered around its software, sometimes perfectly valid well-known films just can not be found on IMDB and as a minor gripe to turn on the device takes a good minute or so. These minor issues are easy to over look however with how the kit works the rest of the time. Many friends and family have been impressed whilst visiting my under lit den of solitude and a couple have even gone away and purchased one for themselves. The best thing I can say about this bit of kit is also bit sad, not many people know about it. On one hand people are impressed because most have never seen or heard of this type of device let alone a boxee. Unfortunately this also means that few get to experience the greatness of the device. All I can say is that if you’re serious about your home theatre or even your barely HD TV sat in your lounge, you should do yourself a favour and pick up this great device.